The castle of Freyr is located on the left bank of the Meuse, between Waulsort and Dinant in one of the most magnificent natural sites in Belgium. The oldest part of the current castle, the east wing, was built in 1571 and is one of the first examples of the "Renaissance Mosane" style. During the 17th century the house was enlarged by the addition of three wings, forming a square with the original wing. Around 1760 the south wing was pulled down and replaced by a wrought iron gate closing the inner yard to give the castle its current appearance. The gardens were designed in the style of Andre Le Notre (the famous landscape architect who designed, among others, the park of the Palace of Versailles) in 1760. 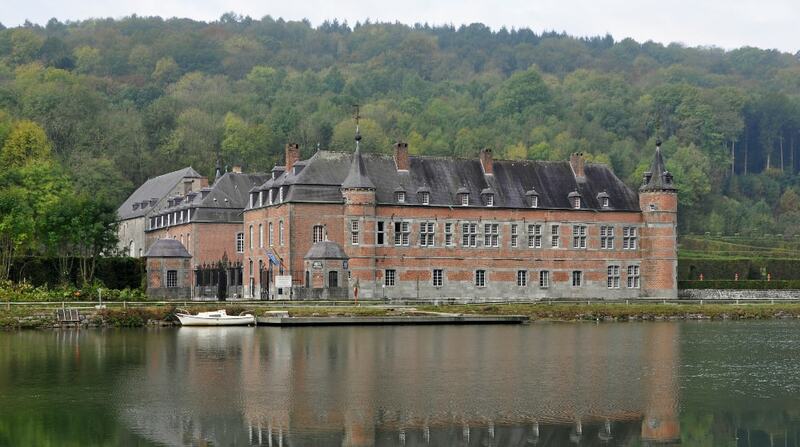 They are set on walled terraces on the left bank of the Meuse and offer views towards the woods to the north and towards the Meuse to the east.